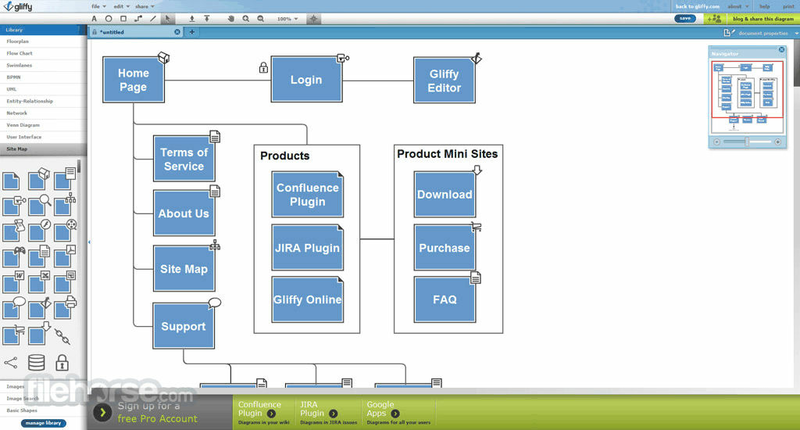 Scalable diagram maker for mid and small size business. 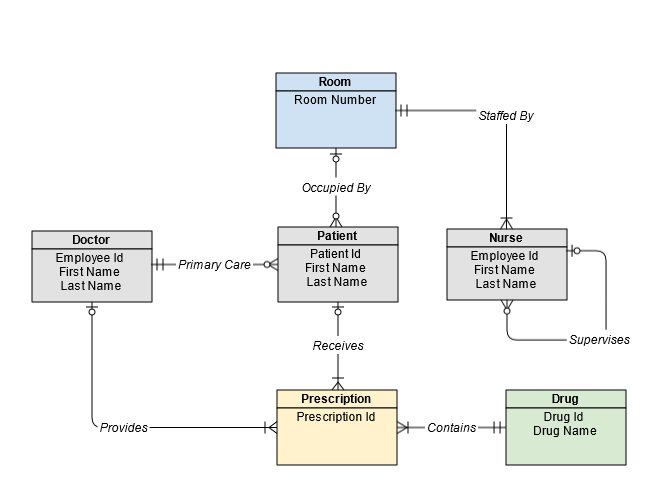 It provides simple drag and drop options and has numerous templates which makes diagramming easier for you.This software allows you to share diagrams through an URL link. 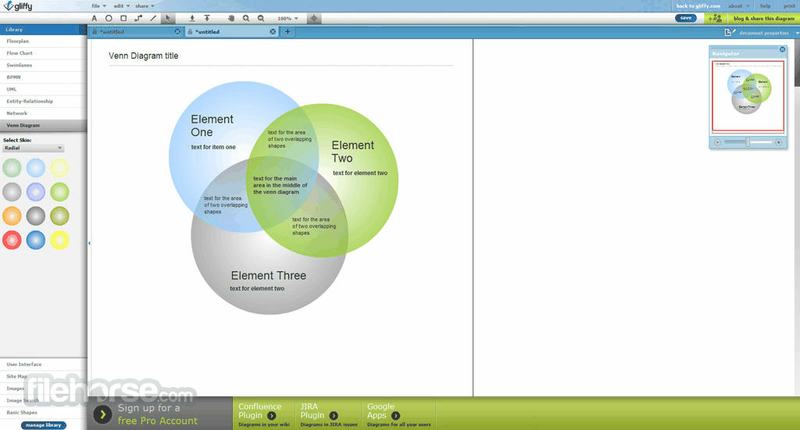 It also has an instant collaboration feature due to which, file access can be given to specific set of users.In addition,it integrates with Atlassian in order to add visuals directly to JIRA and Confluence.It provides a secure cloud storage space to store data which is well assisted with data migration tool.In addition, you can access previous versions in revision history that will help you to preserve and track changes. How much does Gliffy cost ? 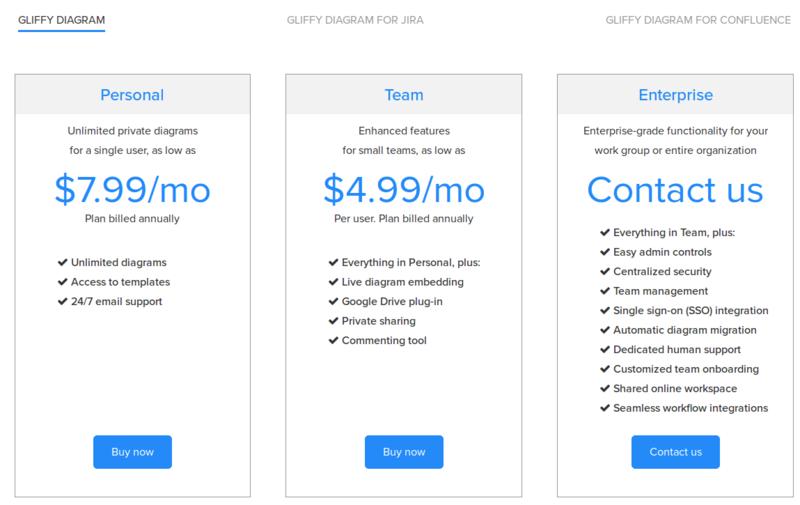 The pricing for Gliffy starts at $4.99 per user per month. 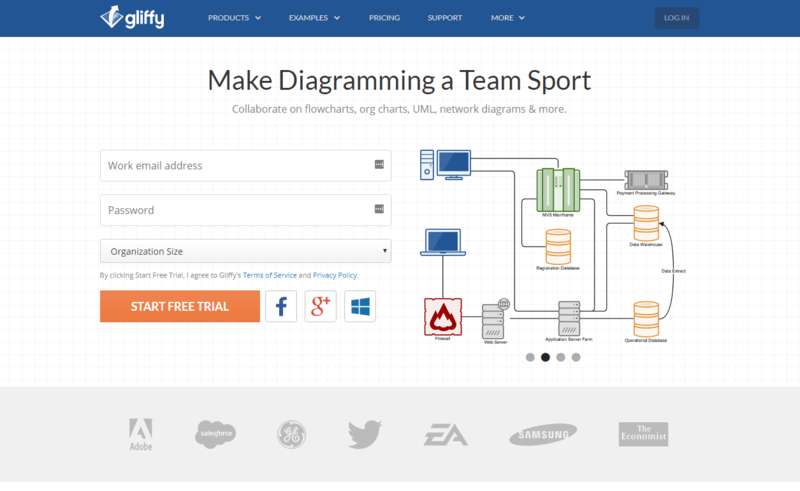 Gliffy has 4 different plans such as - Team Gliffy Diagram at $4.99 per user per month, Personal Gliffy Diagram at $7.99 per month, Gliffy Diagram for Jira at $10.0 per month and Gliffy Diagram for Confluence at $10.0 per month. Gliffy also offers a custom plan based on the customer's request. $4.99 Per Month Per user. Plan billed annually. 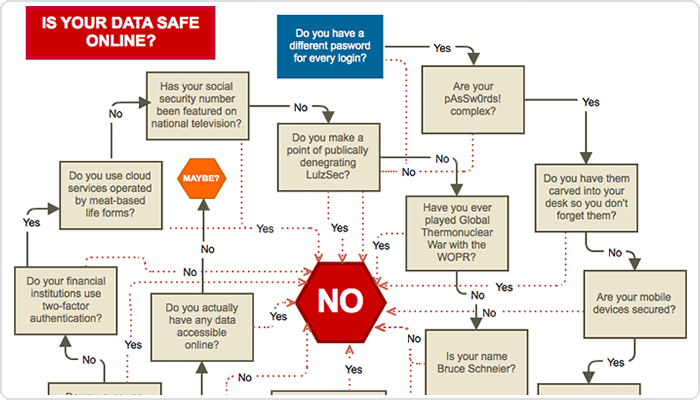 Which software can be chosen for getting highly secured cloud storage? Gliffy provides highly secure cloud storage space to store your files.